expression with up to 11 logic variables! but limited only by VGA display of 80x60. and thus determine the best logic circuit. Karnaugh Map Generator. This program will quickly K-map a logic expression with up to 11 logic variables. Handles an infinite number of variables but limited only by VGA display of 80×60. 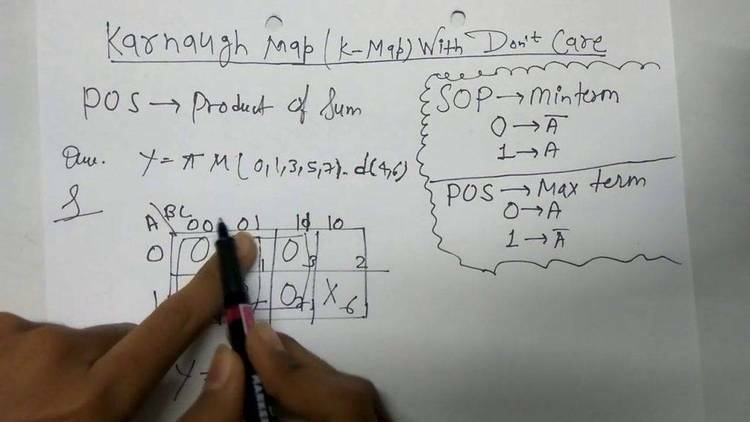 WHAT IS A KARNAUGH MAP (K-MAP)? display's height and width maximums. unaltered executable is my donation to the public domain software realm. all groups are simplified and thus the expression has been simplified. Feel free to send questions, comments and suggestions also!